2121 Square feet (197 Square Meter) (236 Square Yard) sloping roof style typical Kerala home design architecture. Designed by A CUBE creators, Thrissur, Kerala. Ground Floor - 1242 Sq.Ft. First Floor - 879 Sq.Ft. Total area - 2121 Sq.Ft. 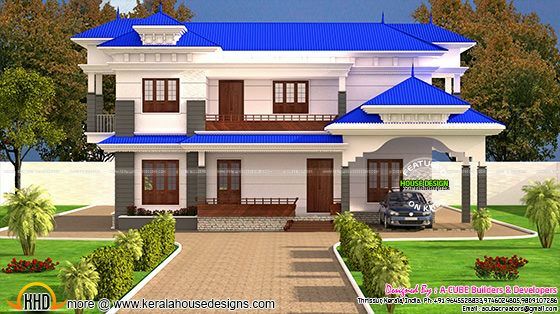 0 comments on "Kerala typical home design in 2121 sq-ft"